Our customer-centric approach while making online or offline procedures makes us a reliable name. We keep a vigil eye on the transactions made to keep all the information shared by the clients safe and confidential. 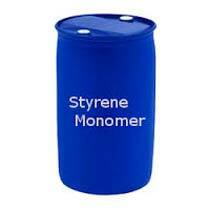 Being a Supplier of Styrene Monomer, we continue in the same vein and keep enchanting our customers with our spotless quality.